If you have made your mind up to go with alternative or renewable options to fulfill the energy needs of your house then you will need a comprehensive advance planning. 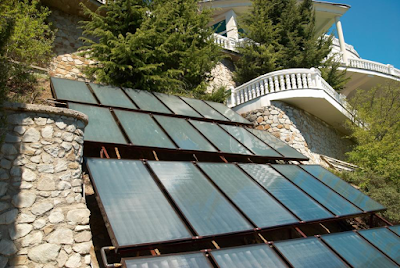 There are several steps involved in setting up a solar electrical system for your residence. Let’s briefly look into the planning that goes into successfully shifting your power needs from the grid to solar energy. The next step is to estimate the solar potential of your residential area. The efficiency of photovoltaic hugely depends on the amount of sunlight it gets exposed to. You can use solar mapping services to have a better idea of amount of solar energy available in your neighborhood. Aside from the collective solar potential of your area, the structure and setting of your house will also affect the efficiency of solar cells. You must know the surface area of the exterior façade of your house exposed to the sunlight throughout the day. Furthermore, also keep in account the trees in your property and their effect on the solar efficiency. Also inspect the operational life of the roof of your house before having any solar installations. If the roof needs replacement and remodeling in near future then it is advised to deal with it prior to the installation of any solar panel. Remember that all these different solar options are not available in all the states. If you are going to buy a solar electrical system for your residential needs then pick the contractors dealing in solar panels designed on recent technological outline. Also make sure that they are properly credited, have enough experience of the domain and can help you with getting all the necessary permits. Shifting completely or partially to solar energy is good idea. You will get considerable federal tax relief on purchasing the solar system while contributing to a greener environment.